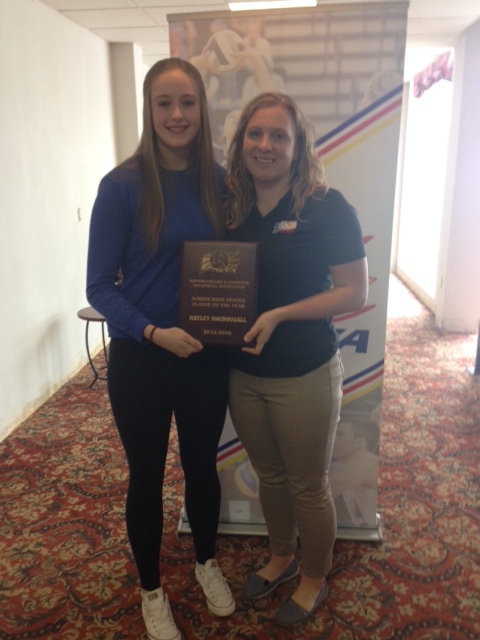 Congratulations to Hayley MacDougall who was named the Newfoundland & Labrador Volleyball Association’s Junior High Female Player of the Year! Way to go Hayley!!! This entry was posted in Uncategorized on June 6, 2016 by riawebsite.